In 2nd Grade, we build upon everything that we have learned in Kindergarten and 1st grade. 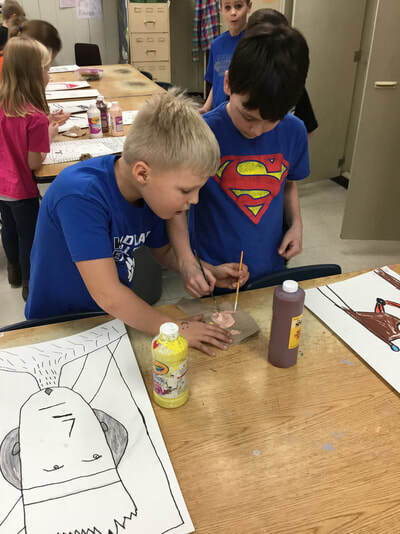 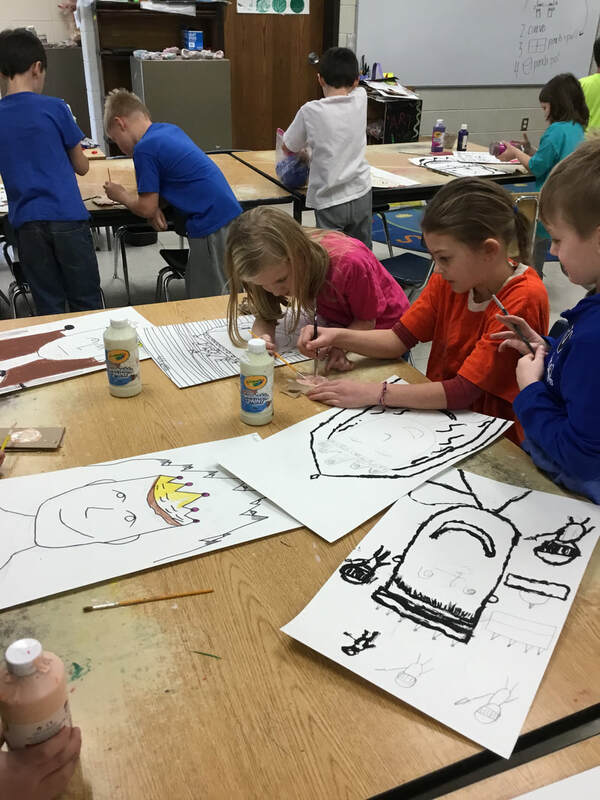 One thing about 2nd grade is we learn A LOT about artists. 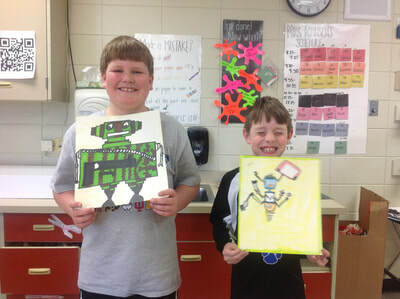 Maybe your second grader can name a few for you! With this lesson on kandinsky, we are introduced (or reminded) of what abstract/non representational art is. 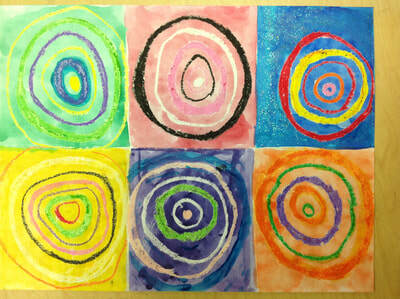 We study many different major artworks by Kandinsky and try to find similarities between his different pieces. 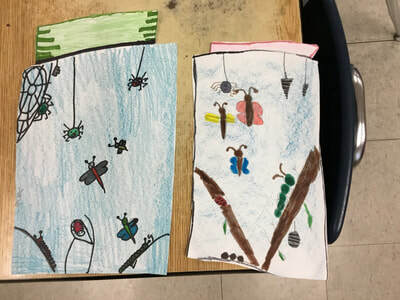 We use math to divide up our paper to create sections to draw our circles in. 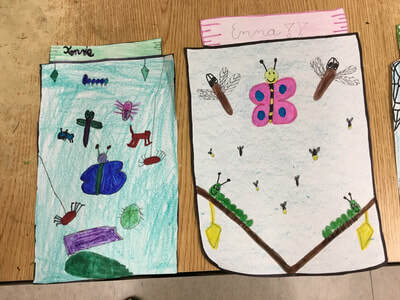 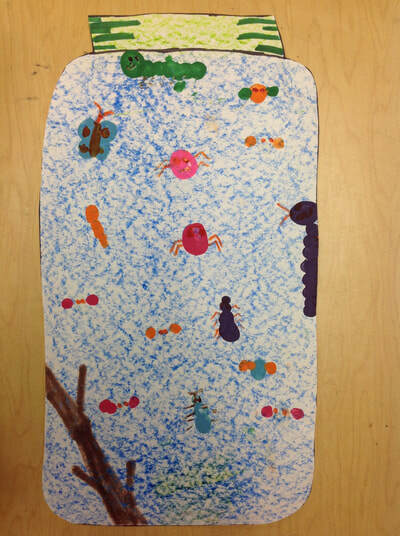 As a good introduction to pointillism, we make some creepy crawly bugs to live in our bug jars. We figure out what details we need to add to our painted pointillism dots to make them look like different bugs. 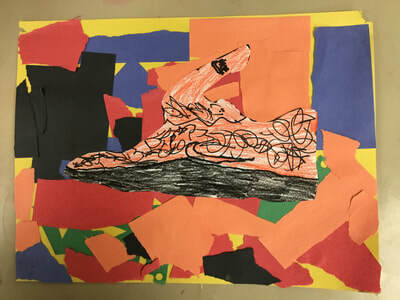 After a big talk on all the different types of lines, students set out to draw their shoe using lines. 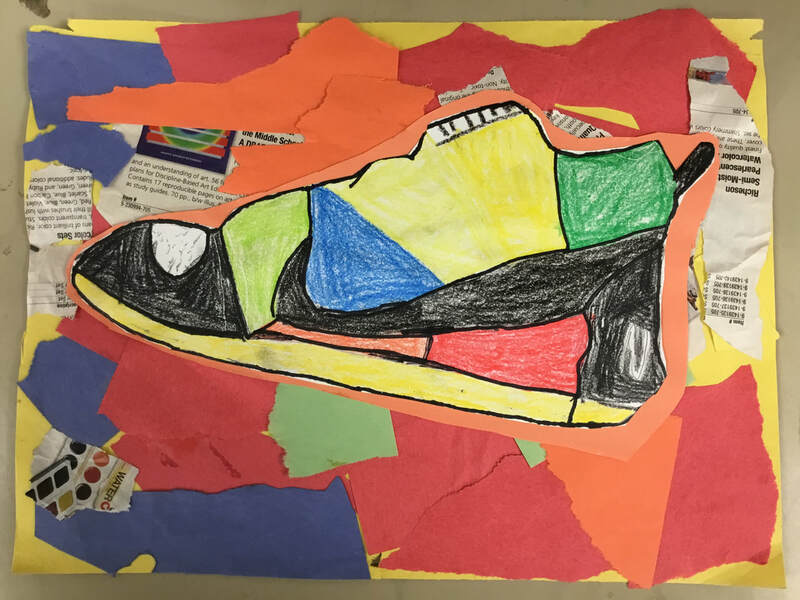 Close observations of our shoes make us really notice how many different types of lines there are. 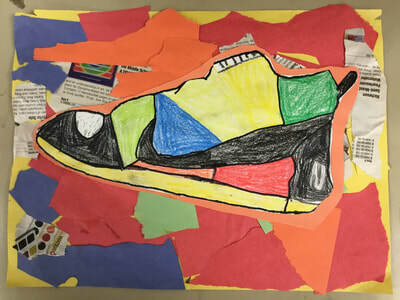 We also learn about collage with this lesson, and 2nd graders can create a collage for the background of their shoe. After a discussion on problems or challenges 2nd graders can have, we design a robot to help us with our problem. 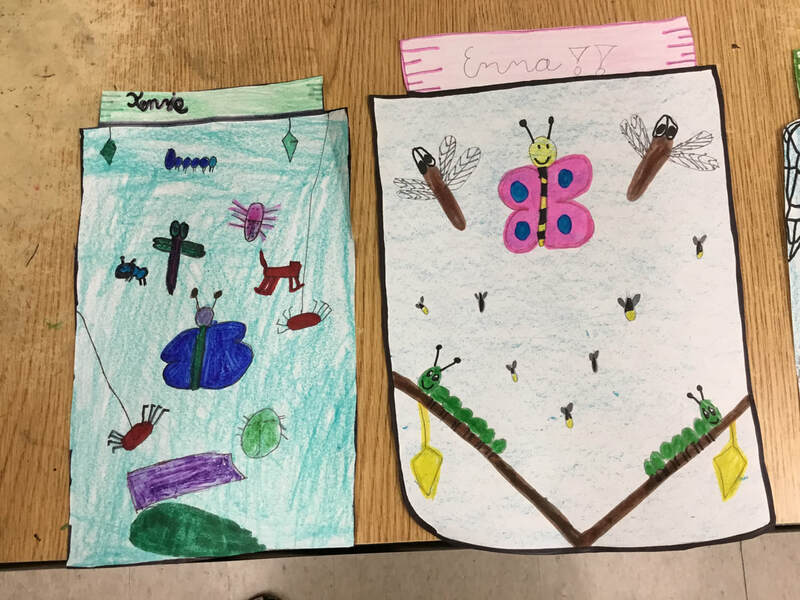 For some reason, a lot of second graders list a younger or older sibling as a "problem" in their life ;) This has turned into one of my favorite projects because 2nd graders always amaze me with their creativity in this project. 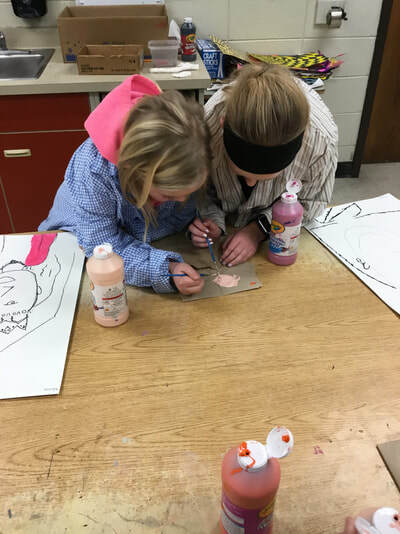 One of our biggest challenges with this project is mixing the correct color for our own skin tone.